The industry’s leading source for top ERP talent and jobs. ERP-Consulting is part of the ERP-Consulting.com job network. ERP-Consulting.com is exclusively for ERP experts-especially SAP consultants. 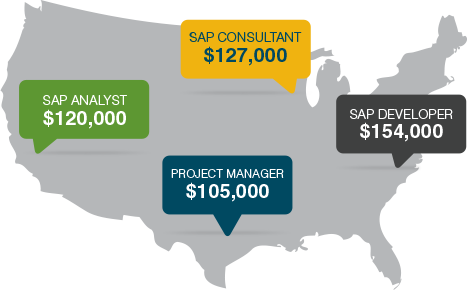 We’re a niche-provider of SAP consulting jobs for professionals with careers in SAP. Our clients post new SAP openings daily like SAP SCM jobs, SAP HCM jobs, and SAP BI jobs. the SAP jobs that you want. We vet every SAP consultant before they have access to any of our clients’ SAP positions like SAP financials jobs, SAP CRM jobs, SAP procurement jobs, and SAP FSCM jobs. The hassle of staffing layers! 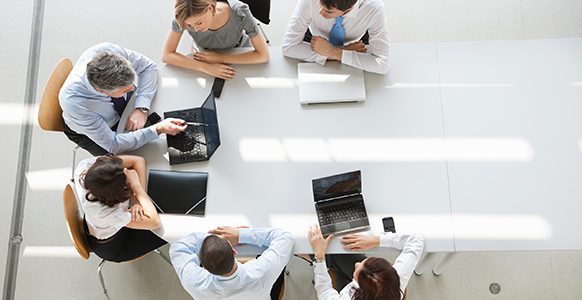 Talk directly to companies about your next Oracle SCM job. Proactively position yourself to the company that has your next Oracle HCM job. Exclusive ERP Jobs Posted daily! You don’t need to pick through sales, marketing or IT positions to find an Oracle Financials job. We're a one-stop-shop for Oracle CRM jobs. you know where to build on that experience with the latest Oracle procurement jobs. North America's largest ERP-centric job board, and an exclusive community of PeopleSoft professionals and recruiters. As a member, you will have access to our complete PeopleSoft job database, full details on PeopleSoft projects, and the ability to connect directly with recruiters searching for PeopleSoft contractors. ERP-consulting.com is an innovative and effective resource that will simplify your PeopleSoft career search. Sign up today to become a part of this high-level, exclusive network and find your next PeopleSoft project now. only. No more phone calls or emails for irrelevant positions. ERP-Consulting.com is your premier hub for finding JD Edwards consulting jobs. provide ERP jobs, and our client base is made up of the Fortune 2,000. If you’re a seasoned consultant looking for your next JD Edwards opportunity, join us. You’ll find your future JD Edwards EnterpriseOne, JDE EnterpriseOne, JDE E1, JD Edwards World, JDE World opportunities here. ERP-Consulting connects senior level SAP®, Oracle®, PeopleSoft®, and JD Edwards® professionals with exclusive ERP jobs from top companies across the United States. This is the premiere place to find the ERP industry’s top SAP Jobs, Oracle Jobs, PeopleSoft Jobs and JD Edwards Jobs. Keeping a profile on our site ensures you are keyed into the highest level ERP network available. You are not contacted with jobs you’re over-qualified for. You choose how public or private of a profile you like, and based on your profile, you receive information for job matches. Join now and experience the ERP-Consulting.com advantage! We offer our members the jobs, tools and ERP specific resources needed to keep them using our site. Our senior -level ERP SAP®, Oracle®, PeopleSoft®, JD Edwards®, and CRM jobs are extremely detailed and vetted. Our ERP professionals are no different. Join now and fill your high-level positions faster and with better candidates! talent on the board are much more accurate then the commodity job boards." and how I search for candidates with proper U.S. work authorization." JW, President/Owner - Top Tek Talent Inc.
preferences, etc helps us focus on the right candidates for our projects." amazing consultants there. Thanks for your support." Whether you are an industry veteran or an up and comer, the right SAP Training can increase your income and opportunities. We understand firsthand the importance of essential job training and experience and have an exclusive network that only includes experienced professionals. With their 1,000+ hands-on SAP training simulations, you can learn by doing. These courses allow for you to become an MMC-certified SAP Professional. Join the 10,000+ students, professionals, and Fortune 500 companies that have already taken these training courses. overviews of the most common SAP modules. For SAP Professionals: Unlimited access to all our SAP training courses. Knowing how to work with SAP software pays off. Now that you know some of the industry numbers…Do you want to know what SAP professionals are making?